Code Brawl is a game about fighting AIs. 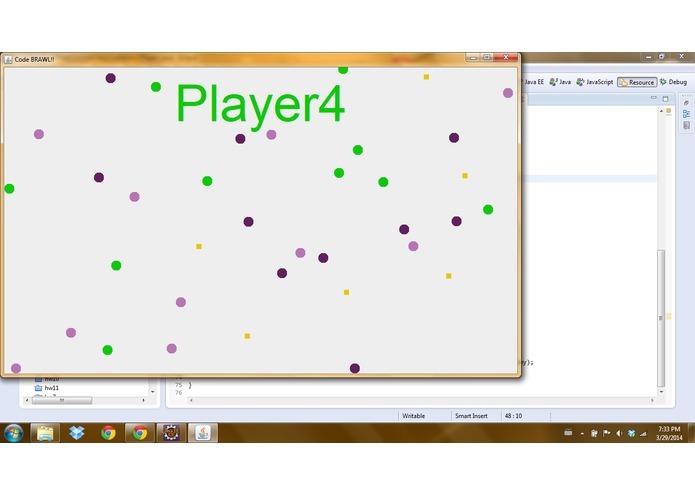 Each player creates their own java file which implements a set of given actions and logic. They can then command each of their troops to search for enemies, fight, and collect powerups.